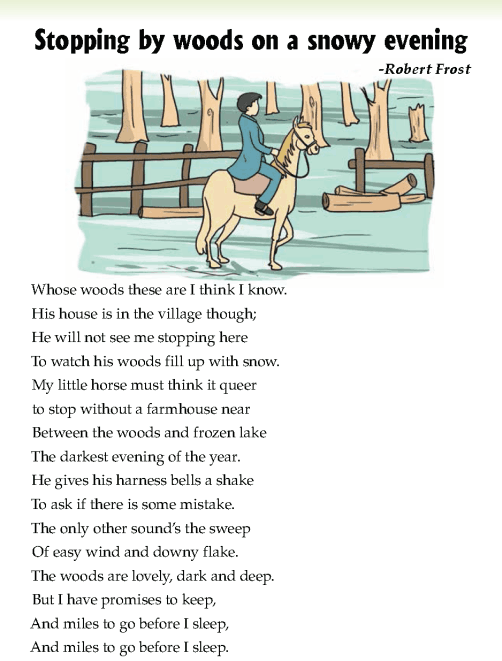 A poem by Robert Frost. Where does the rider stop? Who will not see his stop there? Why? Why do you think the horse is confused? How does the horse respond to the strangeness of the place? Why can the writer not remain longer in the lovely woods?